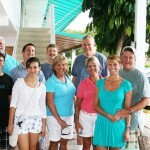 We are having some great weather here in the keys with a high of 72 degrees! If you are tired of shoveling snow come on down and hop in the water. Water temp is coming in around 79 degrees still! A Great Weekend with Divers Supply! 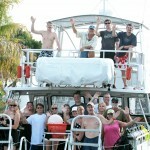 We had a wonderful past weekend with a group of divers from Divers Supply in Jacksonville, FL. The weather was beautiful and the diving was nothing other than fun! Thank you to everyone for coming down and joining us! Horse collars and really cool wetsuits! A customer came by our shop the other day to share some great pictures. Thank you David Laporte from Clinton Township, Michigan for stoping by and sharing. 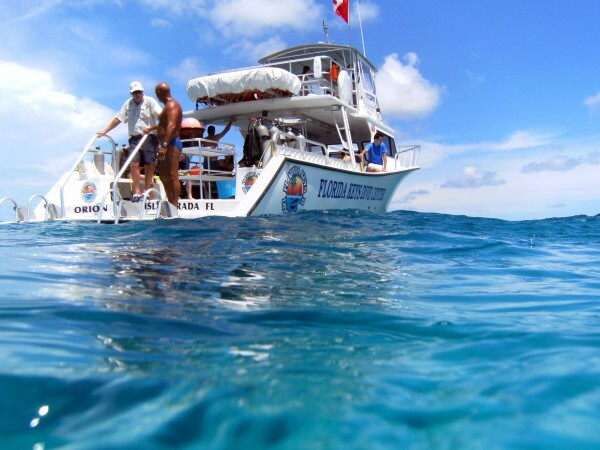 Tom and Pam Timmerman certified David as a PADI Open Water Diver back in 1982, the year before Florida Keys Dive Center opened. Does anyone remember the name of the shop they were with that year? Check out Tom’s Beard! What a great day of diving in the Florida Keys. Check out this picture from another satisfied diver on Pete’s Reef. Sure is a pretty boat! Thanks to Susan and Malcolm for the great shot. Completed open water certification with Joe and Sara as instructors. I found both instructors to be exceptionally competent in their knowledge and instruction. Sara is great at instilling the confidence you need as you move along with your skills and Joe is a good teacher – making sure you get what you need in order to be competent in the water. Can’t wait to get back to the FKDC and dive in again! Wanted to provided a quick thank you especially to Captain Greg and John (mate and divemaster) for a very professional job well done. 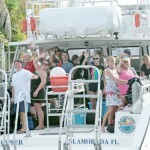 We had 8 dives over 2 days with you folks and of all the dive experiences I’ve had in the Keys, this was the best. From the dive shop personnel, the reasonable prices, the flexibility in the dive sites, to the first class dive boats (the 46′ size really helped when the seas were 5-7′ at the Duane) top shelf operation. Highly recommend them to any and all. We saw first hand how John handled the Advanced class on the Duane, and a newbie doing her checkout dives. He’s very good. I learned quite a lot from Captain Greg on reef formation and what the weather and wave action has done to the various sites over the years. Not sure how he gets to all those sites without GPS, but with 27 yrs on the water, he knows them quite well. Hope to use them again soon, because there is no reason to go anywhere else.